The Montego Bay Sling Balcony Chair by Windward Design Group offers an effortless way to add some easygoing style to your outdoor grill island or counter height bar. The powder-coated aluminum frame requires no special upkeep and will keep looking great for seasons to come. The sling seat is water-resistant and quick-drying and provides a comfortable spot to enjoy a summer evening. 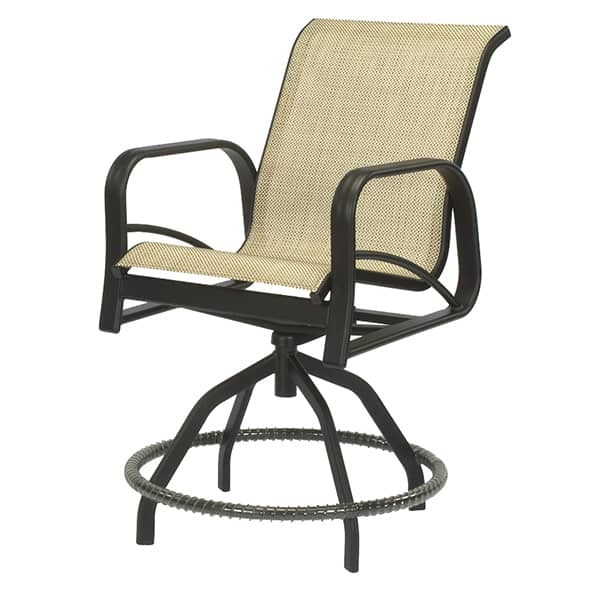 The Montego Bay Sling Balcony Chair is made by Windward Design Group in the USA.